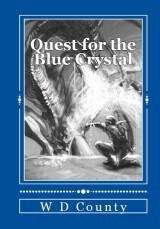 Although this novel fits within the fantasy genre, I have endeavored to make it as realistic as possible, so in many respects it resembles science fiction as much as it does fantasy. For the person who wants a bit more knowledge on Salmineria, I’ve provided some general information here, and even more in the Appendices. Given the epic scope of this novel, the appendices help by including a cast of characters and other tools for knowing who’s who and what’s what. Most words in this novel are pronounced as expected from the normal rules of the English language. The exceptions are easily noted, such as the use of a few Elvish words, for which I have tried to follow the rules of Quenya or Sindarin as established by J.R.R Tolkien. My thanks for the wealth of Elvish language resources on the web. When a word ends in “tia”, the pronunciation is “sha”, as in militia or inertia. Thus, Kratia is pronounced Kra – sha. Some nouns exhibit a gender suffix, for example “Esaf” (which means ‘eternally living king’), for which the matching female word “Esafi” (eternally living queen). Of what intrinsic value is cash, or gold, or jewels in a world where a wizard can conjure up such things at a whim? There needs to be a stable medium of exchange not affected by magic. In Salmineria, that medium of exchange is energy. It takes energy to power spells, and the amount of energy is proportional to the effects created by the spell. Which means that a unit of energy, say a kilowatt-hour, is an effective and stable commodity, whose intrinsic value is unaffected by magic. Like money, energy can be gained, lost, used, or saved. Every government needs a measure of control over its economy; in Salmineria the governments have a monopoly on elelctric power stations (revenue generators), and in addition, enforce strict oversight of banks. Whatever a wizard can imagine, if physically possible, can be done—if the wizard has sufficient energy, focus, and knowledge of what and is being created or altered. Once the spell if over, the affected object(s) must conform to all natural laws, or else it disappears. Also, a spell cannot violate any of the Strictures, or violate any higher level spell. The “level” of a spell refers to how many wizards merged their mind and power to create the spell. The majority of the populace have no magic abilities. Those who do have various levels of ability, and are generally trained at the Wizards Guild. Salmineria has several nations, the two largest being Mileu and Condeu. Each of these nations are ruled by an essentially immortal dictator, titled the “Esaf.” Smaller nations, such as Purgatorius, have other governmental structures.